Exciting news! 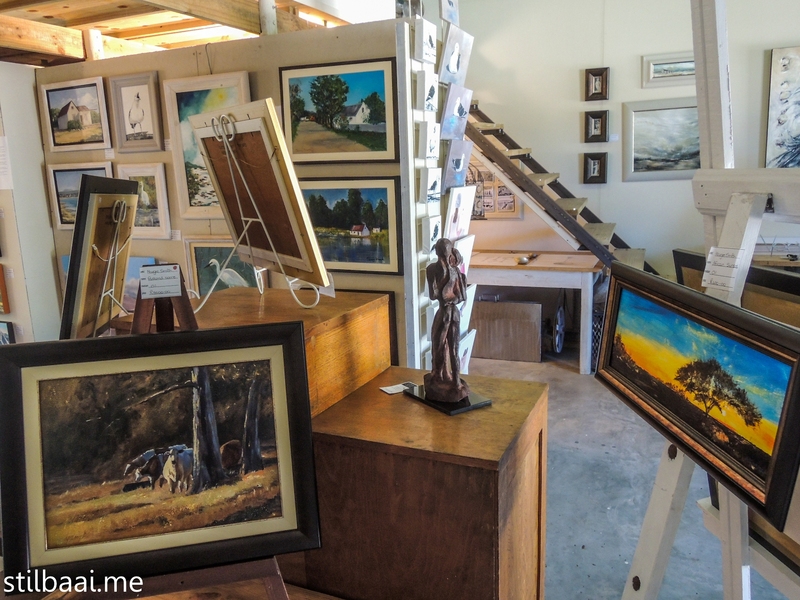 The art gallery, Art @ The Noisy Workshop, has recently opened its doors and art lovers can now view and purchase a variety of art created by various Stilbaai artists. The neat gallery is currently still located in the building of Werda Crafts & Decor in the industrial area in Stilbaai East and includes beautiful art work by Margie Smith, whose love for for cattle can be seen in her work; Erika Prinsloo who describes the visual language of her work as ‘landscapes or figures of the inner soul’ and Nadine Hansen who paints daily in her studio, The Artroom’. There are also work by Emma Prinsloo; Jenny Book and the late Dorothy Schmidt while a closer look at Jetske Fouche’s unique ‘Pointillism’ creations, is also quite special. With many more local artists’ work not (yet) exhibited at Art @ The Noisy Workshop, one will have to visit the art gallery often to make sure you do not miss anything! Address: Steadfrey Avenue, Kloof Industrial, Stilbaai East. Tel: (028) 754 3501 – speak to the friendly art gallery owner, Adri van Vuuren.